As a Consultant with the Compliance, Audit and Risk Management team, Leah is responsible for performing quality audits and reviews for a wide variety of documentation, coding and billing assessments that aid clients in their accuracy and compliance improvement efforts. Leveraging her communication skills, Leah often presents findings and provides education and support information to physicians to ensure a more complete and comprehensive understanding of the results. Leah's background includes coding and auditing Evaluation and Management (E/M) services for most specialties in a variety of clinical settings. She is proficient in auditing pain management, primary care procedures, podiatry, urine drug screen laboratory testing and related services. Given her expertise, Leah continues to participate in production coding, often assisting with highly complex investigational audits. These audits involve extensive research, review and analysis of applicable guidelines in order to confirm compliance adherence with healthcare regulatory sources. 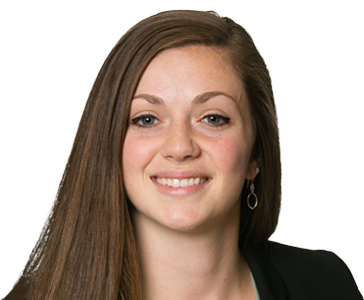 Utilizing her understanding of the reimbursement process, Leah has lead teams working to resolve denial follow up issues for clients and performed reviews involving physician documentation workflow and reimbursement analysis for paid services. Leah’s proficiency with multiple Electronic Health Record and Billing Systems (Cerner, Epic, AllScripts, NextGen, Athena, Centricity, eClinicalWorks, etc. ), along with her administrative and technical competencies, has proven to be a tremendous asset to Pinnacle and our clients.